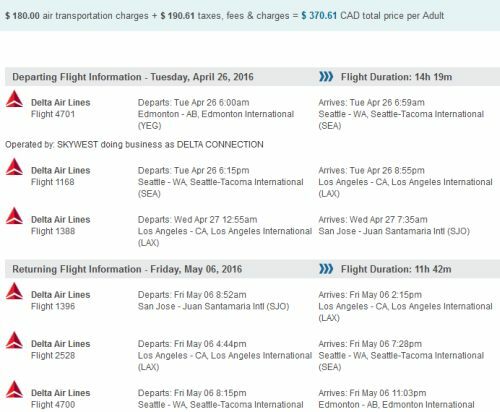 Edmonton to San Jose, Costa Rica - $360 CAD roundtrip including taxes | new record! 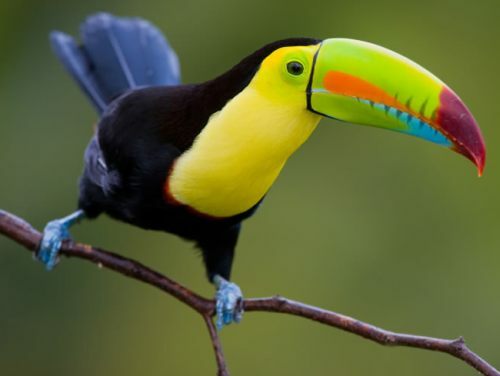 There are flights available from Edmonton to San Jose, Costa Rica on Delta for just $360 CAD roundtrip including taxes. This is actually eclipses the insane price drop event to Costa Rica of nearly 5 years ago, when prices dropped to similar levels. Late April to mid May 2016. Look for date combinations that work out to $371 CAD roundtrip including taxes. Try flights departing on April 25 or 26, or May 7. There's also a large variety of other dates in May in the low $400s. Use the same dates as you found with Google Flights above. edmonton, yeg, flight deals, central america, delta, costa rica, american airlines, san jose and sjo.